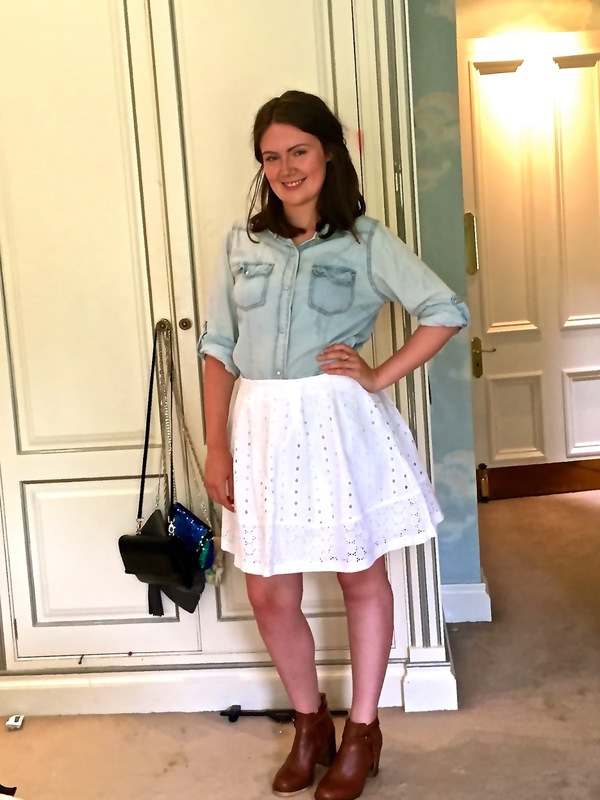 emma's corner: American Purchases LookBook !! I have just returned from a fantastic three week trip to California and took trips to San Diego and Los Angeles. 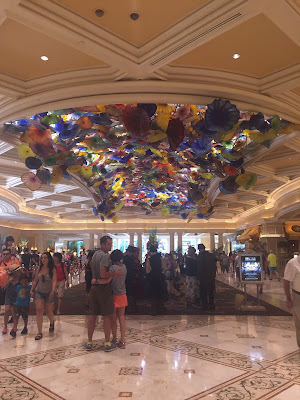 And then we moved on to Las Vegas Nevada which was a first for me and I was blown away. 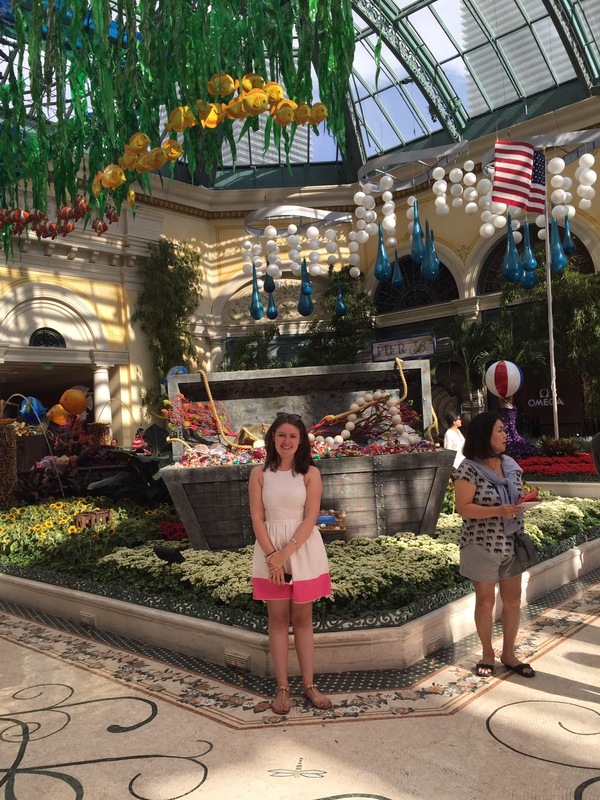 Las Vegas is amazing and has so many wonderful shops and things to see!! I thought I'd show you some of the looks I chose to wear in Vegas and you can get a snippet of what is a truly amazing city! Vegas is a dessert so it is 40+ degrees! So light weight, loose fitting clothing is key! I recommend to any of you visiting, to keep clothing loose and light, to stay hydrated at all times, to wear a minimum of factor 30 and to try and keep to the shade! I've never felt heat like it! Anyway enough of me rambling, lets see some clothes!! 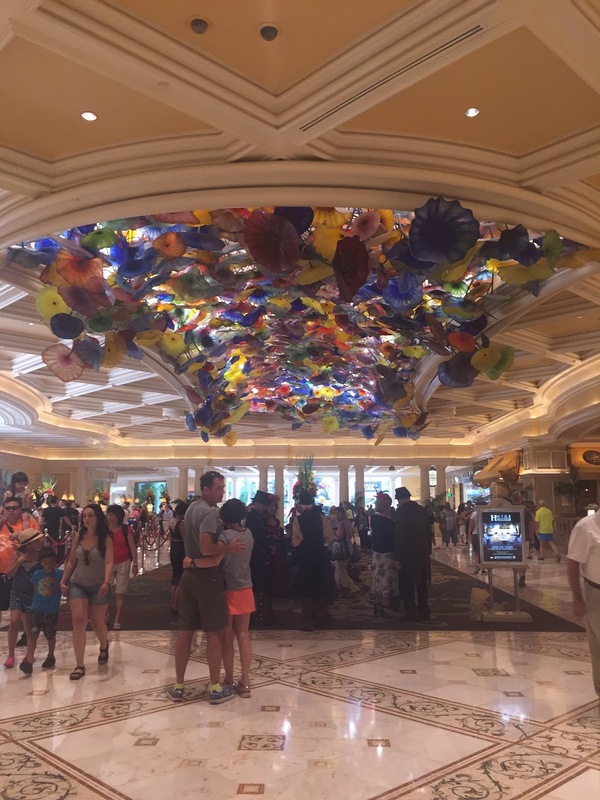 This is the lobby to the hotel I stayed in, I personally thought it was so pretty and colourful and got me very excited for the weekend ahead! I apologise that this is not a close photo but as well as showing you my pretty dress I wanted to show you this amazing display IN THE MIDDLE of my hotel! 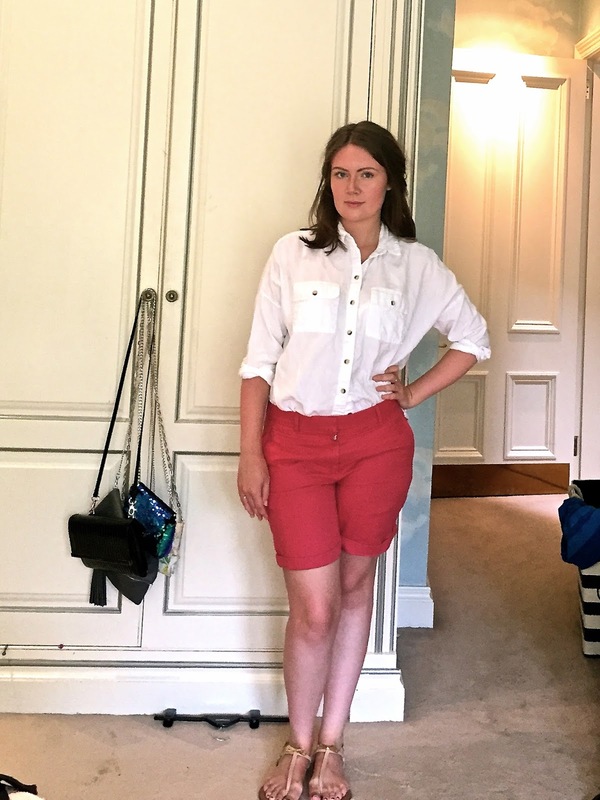 I bought is dress in America last year in Banana Republic, this is one of my favourite shops and it features a lot in this post! I love this dress cause its a fun take on the LWD (little white dress) which is a key piece for any girls summer wardrobe ! I love the bold pink hem! And the dress stands alone! I purchased these sandals on this trip to, from a department store called Target, this is Merona line. They are so simple and cute. I strongly believe that bows are always a good idea! I lived in these whilst I was holiday. This is one of my favourite purchases from my trip its a white shirt from Banana Republic once again! I love it, I think its really pretty and easy to wear. I've teamed this with a washed out denim shirt and tanned heeled ankle boosts to give it some edge and to protect my feel from the lovely Scottish climate. Not a usual shop I go into, however my mum was popping in and I decided to try these shorts on. They are super comfy!! I love them and I would normally wear there with my topshop blouse not tucked in as it is a more flattering look but for a few view of the shorts I tucked it in. My final look is my favourite! 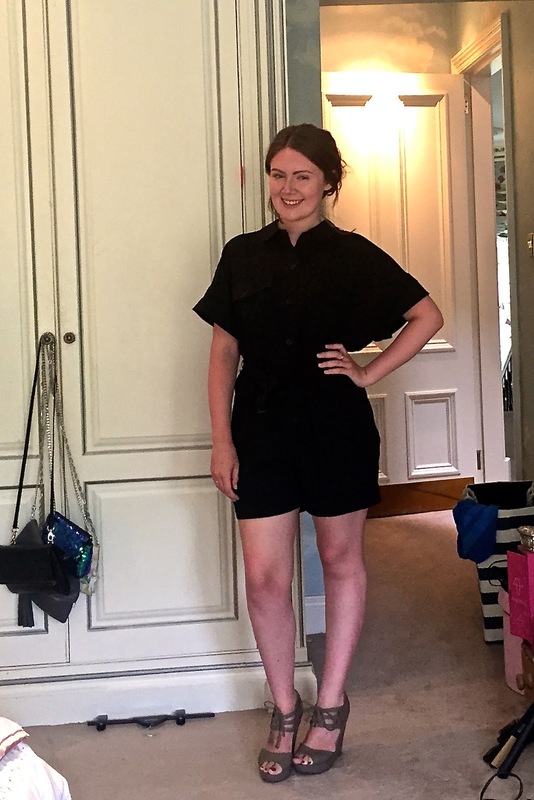 Its a playsuit from Banana Republic! I love that its made big and I think its so flattering! Its perfect for lunch with the girls teamed with a pair of pumps or sandals, a day at work teamed with some heels (tights too if you wish) or a night out for some drinks with some wedges like i have styled here! My wedges have been on so many nights out with me, I've had them for three years I think. I bought them in New Look and they are super super comfy. 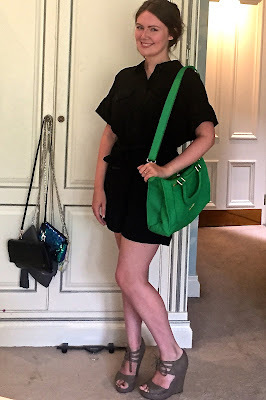 To add a pop of colour I have teamed this look with my green Ted Baker handbag which I LOVE. It's also currently on sale!!! Thank you for reading and I hope you liked my looks! !